Here is a story from NPR, you can even listen to it, about a group of scientists who spent two weeks in Indonesia atop a glacier. The team was led by Lonnie Thompson, a professor of earth sciences at Ohio State University. In the interview he talks about how the glacier literally melted below their feet daily. We are in the midst of being able to watch the climate changing all across the globe. 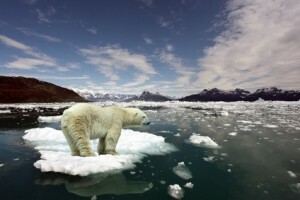 These changing climate patterns will eventually have devastating effects for most of the world’s population. Can we do something about this? You bet. Becoming aware is the first step and then making a commitment to live more in harmony with the environment is the next one. This web site is dedicated to making this transition easier and in a way to actually bring you benefits including living in a more peaceful, graceful and fulfilling way. Stay tuned and be apart of this new way…..